The 1204 Absorbent Pads are used to absorb waste ink since there isn't a waste ink bottle. 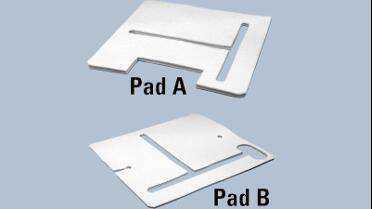 Two "A" pads and 1 "B" Pad are required for full replacement set. Change out when control panel indicates "Empty Waste Tray".